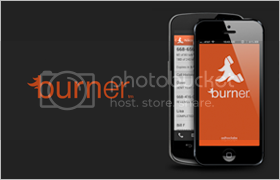 Burner, launched last year for iOS is now available for Android and will allow you to create a temporary disposable number, without fear of having your real phone number compromised. It basically adds a layer of privacy for your iPhone or Android. All you have to do is press a button to instantly set yourself up with a temporary number. When you are finished with it, just “burn” it, and it takes it out of service and wipes it from your phone as if it were never there. One free number comes with the app when you download it, but you can purchase credits starting at $1.99 to use towards more. Each number can be used to both send and receive calls and texts, has its own voicemail and access to your address book via the app. It’s a smart way to avoid having to give your regular phone number to strangers on Kijiji if you are selling something, for example. 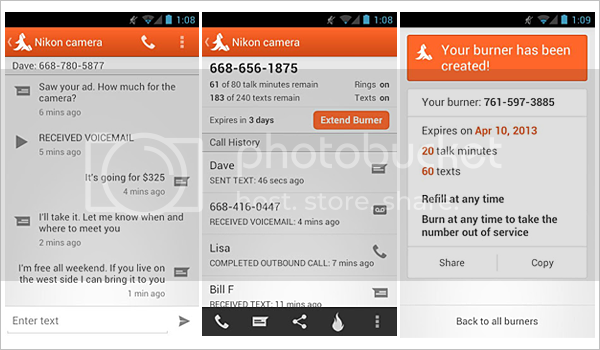 Users can also earn credits by referring Burner to friends. Check out this mobile privacy app by Ad Hoc Labs now. Or jump right to the Google Play store or to iTunes to download it.